Everyone knows that on Pesach, the removal of all chametz (leavened grains) from our household mirrors the removal of inflated ego states (i.e. arrogance) from our personalities. On the night before Pesach each family turns off the lights, takes a candle and searches the nooks and crannies of their home for any crumbs that may have been overlooked. All chametz that is found in that search gets burned and nullified before the holiday begins. Yet it is curious that this search is conducted at night. Generally when something is lost, the daylight helps us find it. Darkness conceals, light reveals. Yet here, strangely, the proper fulfillment of this mitzvah requires a night search. The cosmic correspondence for this pre-Pesach, nighttime search for chametz is the kabbalistic mystery of tsimtsum, where HaShem also “turns out the lights” and shines a beam into the darkness. Before the beginning, G‑d’s Infinite Light was everywhere. Creation simply could not happen for there was no room for worlds to emerge, every micro-space was already filled with Presence. HaShem’s first step was to withdraw His light from a circumscribed place, creating a spherical void now free to be filled by something else. This dark, vacated space became the primordial womb for creation’s unfolding. Into its hollow depths HaShem emanated a single ray of light (from its radiant surroundings) the unfolding and dissipation of which is the history and evolution of creation as we know it. From this perspective, the entire course of history can be seen as a cosmic search for chametz. This ray of light (called the kav) illuminates all the shadowy spaces of creation and exposes the dark, impermeable knots of ego and pride, subtle as they may be. These are the places in our personalities that have not completely surrendered to truth and still believe that the universe ought to revolve around us. The light cannot penetrate these places and they cast a shadow. They are crumbs of cosmic chametz. Once exposed they must be burnt (through suffering) or nullified (through teshuva) before the cosmic Pesach (ie. the final redemption) can begin. Let it be that on this Pesach eve, that our outer work of cleaning and preparations should be mirrored on all levels. Let it be a kosher Passover on the physical plane, a humble Passover on the psychological plane, and G-d serving Passover on the spiritual plane. Let it be the world’s first truly chametz-free Pesach, and let it pull the light of redemption down into the world, NOW. 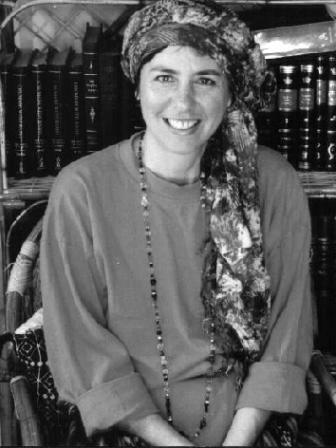 Sarah Yehudit Schneider The h step in our seder is called Tsafun—meaning hidden or secret.